Most people would be forgiven for thinking that the gruelling climb to the top of a mountain – figurative or otherwise – is more important. But clearly, it is not so for people who have successfully overcome challenges to reach the summit of their chosen field. 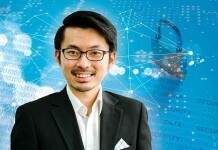 For now, they must not only be at the top of their game but also, crucially, fend off challenges from fellow competitors who are intent on unseating them. The quiet confidence with which Mandhana and others like her go about this daunting task is inspirational. 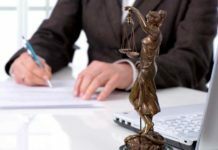 Confidence, similarly, is the name of the game for the top legal counsellors, both those working in-house and the very many in private practice. Clients need to know that the individuals they turn to for advice for tackling present and potential legal problems are up to the task. They try to decipher if the poise and assurance projected by the lawyers are backed with substance. Does the individual in question have sufficient experience and expertise? Can they be relied on and will they deliver? 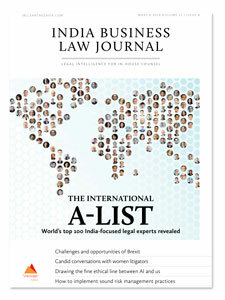 This month’s Cover story reveals the top 100 India-focused legal experts outside the country. 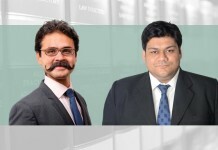 These lawyers are based in international business centres and have over the years perfected the art of advising their clients from afar on a fly-in, fly-out basis, as they are prohibited from setting up shop in India. 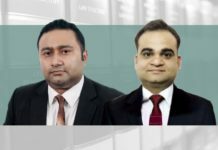 Competition within their ranks continues to grow with hundreds of lawyers around the world now claiming to be India experts. 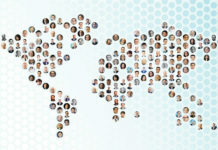 Our International A-List includes veterans such as Chris Parsons, the chairman of the India practice at Herbert Smith Freehills, who is universally recognized as a “senior statesman” with a wide network; and Jamie Benson, a director at Duane Morris in Singapore and the head of its India desk, who when not involved in Indian capital markets transactions can be found on a cricket pitch with a team of Indian lawyers. 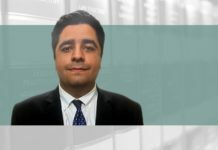 It also includes relative newcomers Karun Cariappa, the co-head of Morgan Lewis’ India practice in Singapore, who has acted on various challenging transactions; Richard Breen, a dispute resolution partner at William Fry in Dublin; and Arvind Dixit, a partner at Corrs Chambers Westgarth in Melbourne. All are recognized for their India expertise and ability to support clients who need to work their way through the country’s legal and regulatory mazes. 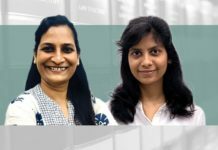 In Risky business, we provide insights into managing business risks in light of recent incidents: a severe liquidity crunch at one of India’s most respected non-banking financial companies and a US$2 billion fraud allegedly perpetrated on India’s second-largest lender, Punjab National Bank, by a jeweller. Both have revealed failures in managing conventional risks, but as we write, an emerging area of risk for large companies is that of data breaches. So how is the risk to be managed? It is important that risk management is made an organic part of day-to-day operations and for it to be taken out of the silo into which it may have been placed. With no deal in sight on the Brexit front, this month’s What’s the deal? looks at how Indian businesses can navigate their way through whatever lies ahead. Around 800 Indian companies operate in the UK and Brexit poses a challenge to their continued growth. Yet as we detail, it also grants India a unique opportunity to reset the legal terms of its trade with the UK. 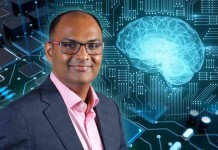 Writing in this month’s Vantage point Kapil Chaudhary, the corporate counsel at Autodesk India, argues that stakeholders must urgently explore the challenges, risks, and opportunities that lie at the intersection of law, policy, ethics, and regulations with regards to artificial intelligence (AI). As Chaudhary says, many companies are waking up to the ethical dimensions of AI and although the Indian government has published a discussion paper to address privacy issues surrounding AI, this is a work in progress. 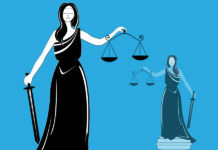 This month’s Intelligence report provides insights from successful women in litigation – an area where women have long been under-represented. Thriving at the bar requires tenacity and rare courage because a woman acting on her own can be seen as a threat. As senior counsel Indira Jaising says people “would like you to acknowledge that you are under the shadow of a powerful male”. Yet several women have forged their way ahead and those still trying to climb to the upper reaches of the profession would do well to heed advice from Ruby Singh Ahuja, a partner at Karanjawala & Co: “You have to be one notch above to be treated equally in your work. Is it ideal? No. Is it harsh? Yes. 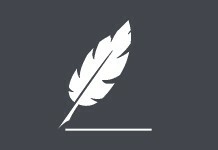 … put it behind you and prove yourself with your work”. A sentiment that Smriti Mandhana will no doubt agree with.